error message is getting when running online installer. You must be connected to Internet. This link is used by the online installer and download a 24.4 MB exe when opened in a browser. Perhaps your firewall or some restriction. Try on another computer in an other place. It seems that the older executable for the portable packages used to be digitally signed, but for some reason, all the more recent packages aren't and I get the following UAC error message every time I launch the program. "Do you want to allow the following program from an unknown publisher to make changes to your computer?" I'm not sure what the procedure is for digitally signing an exe, but that something that you will be doing again in the future? If you are talking about installer (not program itself) I think this comes from your download location that your computer consider as coming from Internet. Do you know any solution or work-around to that? It doesn't happen with paf from that "other" site which shall remain nameless. I have not this problem running my installers. I can't try to fix a problem I don't have. Source of installer in Other: you are free to modify and recompile. Okay, maybe it's something on my machine, but there is definitely something different about the way you're creating the new launcher that causes Windows to question it every time it tries to launch. Because, I replaced the current launcher with the last good launcher (KMPlayer 3.3.0.33) and, for whatever reason, Windows does not ask for permission to launch. So I guess I'll just do that for any new update. Thanks for your packages. No more available on kmplayer server. Should be a bug of program itself. Hi bernat these little installers drive me crazy. This one fails to bring up the exe. Why can we go back to the old installation files as before? 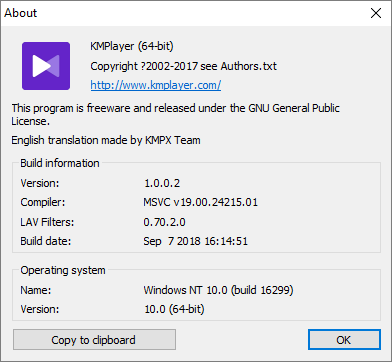 Online installer can't no more download setup: you have also to download KMPlayer_3-6-0-85.exe. You have to download setup and run installer in same location. 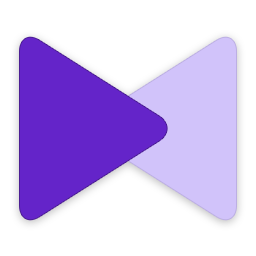 PotPlayer is better and without adds. Does anybody know how can i add or use Lav Filters or MPC decoder with kmplayer portable without having to install them? Bernat, do you have the previous version? this last version *.132 dosnt support DTS anymore. No, but if you find previous setup on the web, just run extractor entering previous version number. Drag'n drop tested working on Windows 10 x64. If not: right click, open. V4.2.2.14 not released yet for kmplayer instead of this only 64bit new veraion released. KMPlayer_4.2.2.14.exe always available of course because 64 bit is only beta. reports a virus is installed and exits..
still not working, can you pack one? Only launcher updated (you can extract in installer with 7-Zip and don't need run installer again). Latest KMP x64 installer does not work: it extracts only app folder.